Last year we wrote in our first issue: “Happy New Year to our readers and thank you for another year of IFE change and growth. We are always excited to write up our predictions, in fact, we have been researching for a couple of weeks now to bring you the latest in prediction news. 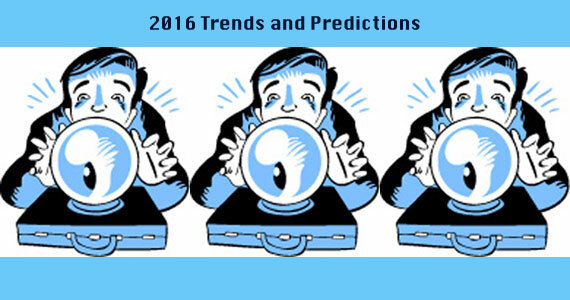 Based on technology change, we are in for a ride this year, and beyond. Everything from drones to privacy is at risk to become a new item in 2015, and as we move into the world of change, we hope you find our view a bit different… and a bit useful.” The sentiment still holds so let’s get started on 2016. Here are a few of the big market and changes that we might see (or need) in the techno-world to come with aviation as our focus. While 2016 may have a few techno-changes from 2015 and summary numbers differ, we are are riding the same messaging train! Since technology and media have grown so much (at least in the US) folks are spending more time on it than sleep or work (Business Insider), there appears to be plenty of opportunity time for messaging (Facebook, Twitter, and the like) but messaging will be even bigger. If you don’t believe it, just watch the ‘head down time’ at a public function where time is spent on devices – it’s less invasive and non interruptive. Why is this a boom time for messaging, you might ask? The answer must lie in new, portable communication technology for one. If, as some writers predict, we spend over half of our waking day with media and technology, and because the devices and connectivity mediums are there, plain and simple, we will text. From a broader perspective, time on major digital activities will increase and has done so for each year for the last 5 years. To a greater extent, these behaviors are clearly a dominating trend and will continue to grow for the foreseeable future. Further, as folks ‘cut’ their cable TV, products are rising up in the wireless world to support streaming TV via the Internet for portable devices. Check out this FierceCable article for more information on this subject. On aircraft, we also expect to see this increase, after all some 97% of passengers (notes SITA) have devices with Facebook Messenger, What’s App, and WeChat. These devices (and apps) and limited connectivity channels are there, all we need are more lower price solutions (free or flat fee)… and yes, there are a few on the horizon and we will discuss them this year, but we digress for now. If anything will be a big deal in inflight lifestyle changes, it will be more messaging! From an audio perspective, our daily life is a good predictor of what we want, and will do, on airplanes. Streaming audio is not new on the ground, with some predictors noting 4 hours of each day in that pursuit. On planes it is usually a ‘canned’ experience because connectivity to the ground is not cheap. However, with the demand of services like google Play, Amazon, MP3, NPR, Apple Music, Spotify and many more, there may be a future for advertised, real-time, streaming… if for no other reason than news. Today it’s the ‘under 17’ that spend the most streaming time but they do get older and will replace the ‘over 55’ who rely mostly on AM/FM – something to think about for your next IFE system. Perhaps the past year has been better (data not out yet), but in the previous year (2014), the passenger count that lost a bag reached 24.1 million and, we note, the trend has been dropping (2007 – 18.9 lost bags per thousand pax, down 61.3% to 2014 – 7.3 lost bags per thousand pax). However with increasing load factors, increased seating and increasing traffic, it will be a real challenge for airlines to keep up. In 2014 it cost the airlines over $2 Billion for mishandled bags so the airlines are ahead of the $4.22 Billion in 2007. We also note that half of the issues were caused by transfer mishandling. Perhaps the new personal Bluetooth and Wi-Fi bag finders in conjunction with the new self bag tag programs, and the eventual electronic bag-tag programs (NFC and RFID) will reduce the loss even further in 2016. In fact, SITA has been making inroads with their BagManager baggage tracking service in 2015 and we anticipate this feature to take off in 2016. Promote shared beacon infrastructure to reduce cost and complexity of deployment. Introduce standard beacon types and data definition to encourage reuse. Provide a simple to use API to discover beacons and get meta-data about beacons. 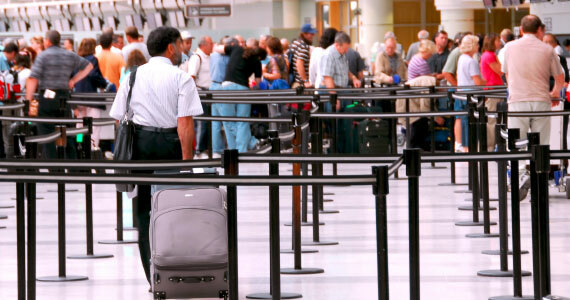 Provide tools to airport operators and beacon owners to visualize and track beacons. This topic is massive and we will cover it for many times to come but we wanted to share one thought from an article in informationsecurotybuzz.com – titled: Human Behavior as the Biggest Threat to Company Security. “People were reported to be ‘almost universally’ the biggest weakness in information security, ahead of technology and processes. Of the respondents that reported to have an insider threat or policy, 70% offer employee training to minimize risk.” “The company employs intelligence teams that study different aspects of communications, user activity, social media, suspicious activity and other details,” said one respondent. “We’re seeing a lot more hands-on training, employee monitoring, and testing to address the issue,” said Ari Kaplan, security researcher. In fact, this human focused trend will be the number one item at this year’s CES in Las Vegas, the show of new things: “#1 Say Goodbye to Cool, Hello to Security and Safety. 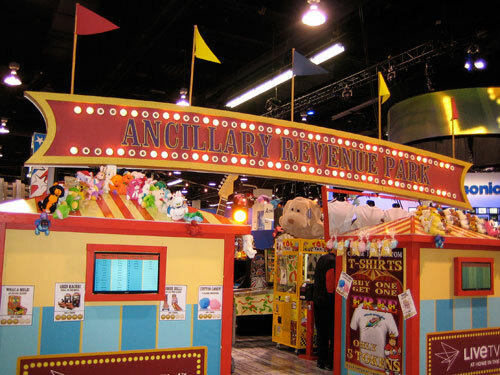 At CES we have come to expect the latest new shiny gadgets. There will be plenty of those this year, but that will not be the show’s main theme. The prevailing stories will center on security, safety and health services that help consumers in their daily lives.” The world is changing and aviation will be focused on this subject this year. Just consider how many folks touch technology that plugs into planes! Don’t get too excited about virtual reality for aircraft applications. In fact, here is the view from Rick Merritt in EE Times who seems to agree: “Some people will claim virtual and augmented reality will be the next big thing in the run up to the debut of a handful of major platforms in the spring. But by fall the heat will start to fade as consumers, chilled by their high price tags and underwhelming performance, give a pass on them as gifts for Xmas 2016.” Some airlines have been flirting with the concept of VR for a number of years and have even featured the technology in their airline lounges, but we believe this technology has a long way to go before it can migrate successfully to the airborne environment, especially if motion sickness is taken into consideration! We probably don’t need to say it but economy class will get more crowded, competition will drop air fares as competition ‘crams’ up… possibly a new ‘mini or micro’ class, there should be more mergers as more airlines take on the Delta World concept, deals and freebies will exist for the frequent fliers while the rest of the travelers will pretty much just exist inflight (if that’s possible), you will need better pre-boarding ID, Airbnb and Uber concepts will tempt a new US airline concept but the idea will be killed (this is a tough one in the US), and in the end VR may be needed after all to blunt the reality of coach class. Women In Aviation Intl: Tracey Curtis-Taylor successfully completed her United Kingdom to Australia flight on January 1, 2016, recreating a pioneering 1930 solo flight by Amy Johnson. Tracey departed Farnborough airport on October 1, 2015, on her solo flight in a 1942 Boeing Stearman named the Spirit of Artemis. The flight covered 13,000 miles, including 50 legs, crossing 23 countries. Tracey is a keynote speaker at the 2016 International Women in Aviation Conference March 10-12 in Nashville, TN at the Friday morning general session, expected to be attended by nearly 4,500 participants. IFPL just announced the delivery of a one millionth peripheral to Panasonic Avionics (see the News Releases section for the full story). Perhaps the biggest Zodiac (Zii) news we discussed was the announcement in June of the Zodiac selection by Airbus for high bandwidth connectivity and they note that Zii was chosen as a Buyer Furnished Equipment (BFE) for the Airbus High Bandwidth Connectivity (HBC) solution. 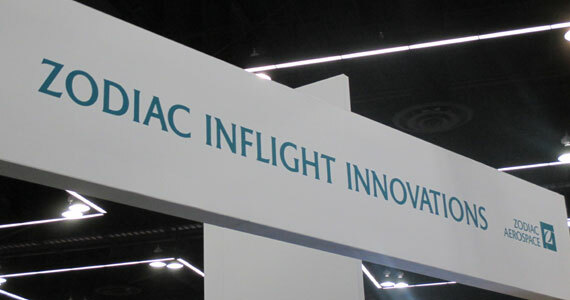 Zodiac Inflight Innovations is supplying aircraft equipment, and other terminal hardware. As Lead supplier, Zodiac Inflight Innovations will manage the integration of the system and facilitate the Inmarsat Global Xpress service directly. The current scope of the HBC program covers the Ka-band system for A320 single aisle family, the A330 long range family and the A380 aircraft. Larry Girard, Executive Vice President at Zodiac Inflight Innovations states: “The end result will be that airlines will be able to have different HBC options on multiple aircraft types, while providing a consistent service to both passengers and the airlines day-to-day operations. As the Lead supplier, Zodiac Inflight Innovations’ role is bringing together all the components for the High Bandwidth Connectivity program, including our own, and matching them to the Airbus process.” Zodiac Inflight Innovations is providing an ARINC-791 compliant radome, adapter plate, skirt seal, antenna, as well as other terminal hardware. The radome and adapter plate have been designed to be sufficiently flexible to accommodate other Ka-band antennas, minimizing the work required for future HBC systems. This makes Zii the only IFE connectivity vendor across the current Airbus aircraft platforms – that’s a big deal! 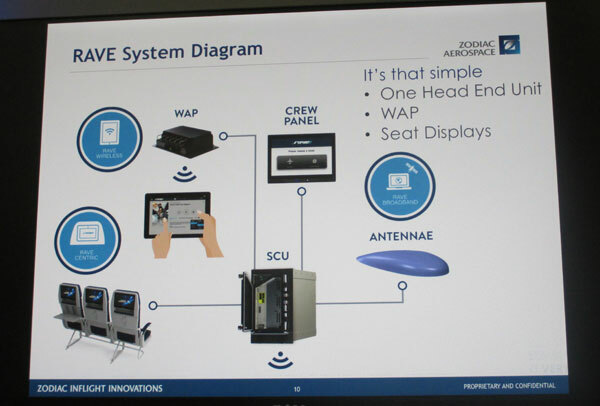 Twenty five airlines around the world with over 200 aircraft in service are already using Zii Inflight Entertainment which includes their RAVE Centric AVOD system and their latest RAVE Wireless streaming entertainment system (system diagram). Today, some 250 people work in Brea, CA (Zii’s home) and we expect to see more sale troops in the near future. Success at Airbus include line-fit on A350, A330, & A320 families. Further, we expect some events with Boeing soon. On the retrofit side, Zii told us that they have a ‘variety of suppliers’ to provide turn-key installations from hardware to certification, including long term support. From a hardware perspective, Zii has a new supply of screens available that include 10.1”, 11.6”, 13.3”, and a stunning 18.5” screen. We note that the last three are 1080p devices! And yes, all are dockable units. We also note that they are not streaming to each seat – there is a 1.5 TB storage in the seatback electronics so content is downloaded prior to display and we note the quality is beautiful. As Harry Gray, VP Sales & Marketing, noted: “Storage in the STU cloud and at the seat delivers stunning and reliable inseat display images.” We agree. SITA OnAir demonstrated how the passenger experience is being transformed by their e-Aircraft concept. They discussed the key developments based on the advent of the global high through-put satellite link, GX Aviation. In fact, they showed how the increased connectivity affected 6 key ‘audiences’ (aircraft included) for the improved data rates: 1) Passengers benefit from a richer, more interactive infotainment experience. At the Expo they launched their latest inflight portal for passengers, 2) Cabin Crew can now personalize passenger interaction with real-time information available at their fingertips. Also, they demonstrated their latest CrewTablet developments, 3) Cockpit Crew can also deliver a safer, more comfortable journey to passengers thanks to live weather updates sent directly to EFBs, 4) Flight Operations can enhance passenger safety by tracking aircraft wherever they are in the world using AIRCOM FlightTracker – and a number of airlines have already signed up, 5) Aircraft transmits maintenance requirement data, ensuring teams are waiting at the gate to keep turnaround time to a minimum, 6) And finally, Air Traffic Control enhances both safety and efficiency by streamlining communications between pilots and air traffic managers. 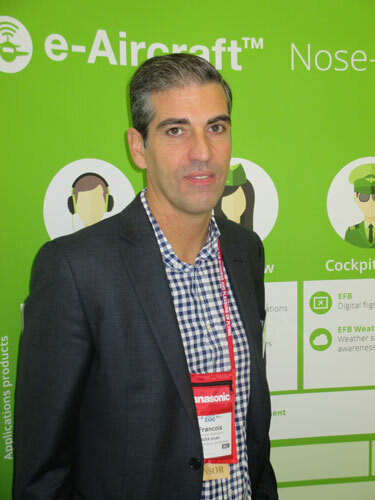 SITA likes to call these ‘nose-to-tail’ solutions and they told IFExpress that there is an airline evaluating all these functions in real time today. One of the SITA OnAir prophets is Francois Rodriguez, Chief Strategy and Marketing Officer and he told IFExpress: “It is all real and being deployed and we are working with airlines to enable them all with nose-to-tail solutions.” If you are curious about the joining of the two companies and their resultant efforts, their website sheds a bit more information on their combined strategy: “On January 1 2015 , SITA and OnAir formed SITA OnAir as part of the SITA Group, to help airlines realize the full potential of the connected aircraft. The core of the new business organization is SITA’s proven knowledge of airline communications and IT, and OnAir’s expertise in supplying in-flight connectivity. By bringing together SITA’s and OnAir’s industry leadership and expertise; in ground and inflight connectivity, cockpit data services and air traffic management solutions, aircraft communications and infrastructure solutions, as well as application development for both passengers and crew, SITA OnAir sets the benchmark for true nose-to-tail solutions. SITA OnAir provides the complete range of products and services an airline needs to realize the full potential of the connected aircraft regardless of fleet size, route structure or aircraft type.” And lastly, SITA OnAir demonstrated a passenger App that interacts with passengers during their entire flight, As an example, they use beacon technology to connect with the passenger on the ground and continues via a hand-off with them in the air. You can find out more about SITA OnAir here and check out their e-aircraft portfolio. Stay Tuned. 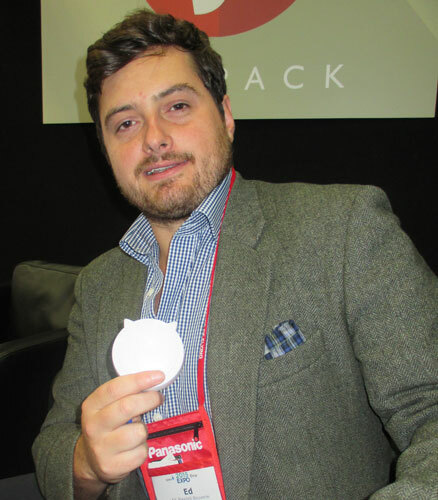 One of the more interesting small companies that we discovered last year at AIX, was Jetpack from England. 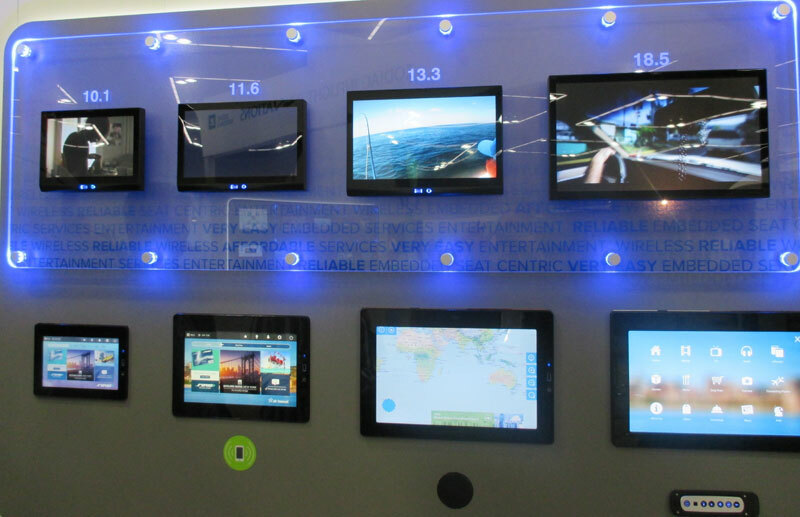 They were at APEX this year and while we noted their independent programming collections, they abound in a lot of technology and gadgets that they have developed for airlines. While we don’t know how successful they have been, their Director of Technology, Ed Pleydell-Bouverie was one of the most interesting fellows at the show. He told IFExpress: “We have developed iBeacons, a Portable App Distributer that uses Raspberry Pi computer, augmented reality glasses, and a lot of ‘specialty devices’ for airlines.“ Perhaps his best comment that summed up their charter was, “We do oddball stuff.” Yes you do, Ed, yes you do! The anti-hacking surprise award at APEX goes to BAE Systems and if you have never talked to Dave Kingston about the subject – do so! We met Dave last year when we talked about their power supplies for inseat applications. As head of Business Development, he had our complete attention and for the first time, we heard a lot about anti hacking on commercial aircraft via the connectivity systems. We got the crypto discussions when they mentioned their content encrypted entertainment programming. The IntelliCabin devices can download encryption Apps that allow their DRM players to send out first encrypted entertainment without worry of copying or data intervention. It seems that they had to prove to the studios that the player Apps do not corrupt, omit, or scramble transmitted movie frames; as a result, some of the major Hollywood movie houses have approved their solution. This is a big deal. Dave told us that they have been working the issue for 18 months, and focusing on a solution for the last six. The reason BAE Systems can do what they do is buried in their $26 B military business that dwells in cybersecurity, military contracts and technology in general. They consulted on the security problem with movie content, accessed their practices and evaluated their network security. In fact, the tech folks there simulated attacks and looked across the whole air and ground IFE and content systems. Dave told us that currently IntelliCabin is not on a connected aircraft, but from a total security point of view, they will have to simulate more attack scenarios that include passenger attempts to load malware on devices that talk to the streaming source of content in the air and ground via their PEDs. This is big stuff and BAE Systems is a leader now in this technology. Obviously, this will make their products more marketable, especially in the near future when these critical and non-critical domains are attacked. Dave summed it up perfectly: “Our Wi-Fi is now the equal of an embedded system.” Their App software knows what device it is running on, it adjusts to that device, the user interface adapts to the device (This is a very nice function), and the system constantly adapts to the streaming content, including the adjustment of the device controls. As far as we know, no one else does this ‘cloud adaptation’ of content streaming. BAE Systems has come a long way and their focus on security will pay off, especially when the studios get a look at their solutions. Involved with security in your company? You might want to read this. If you are an engineer, or you like science and engineering, you must go see ‘The Martian’, you wont Be disappointed. Sir Ridley Scott is a genius. 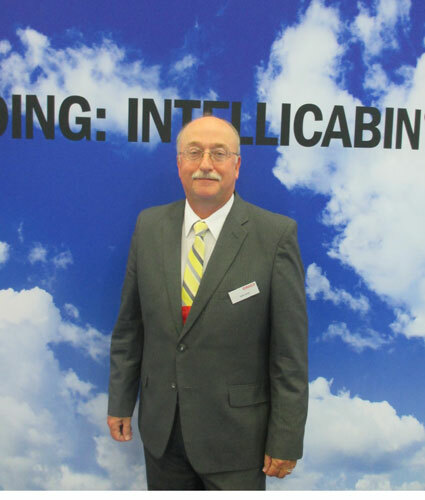 Lastly, Ron Chapman noted recently that future inflight connectivity users might have a frequent ‘FFLYA’ in their future. Oh, look it up! Satellites, Beacons, Crystal Cabin, Alerts, and One Mind Blower! The acWAP from Lufthansa Technik, is a high-speed router that makes data-intensive applications such as online games possible. Armstrong Aerospace’s PowerBox, a mobile power point module that can be installed under a seat was announced. Zodiac Aerospace’s ISIS Aft Complex, which puts the toilet and galley modules side-by-side on the rear wall, to add 3ft to the cabin length. US finalist B/E Aerospace took a similar approach to win a place with its Advanced Lavatory, a slimline toilet module which makes it possible to integrate up to six additional seats in an aircraft. Zodiac’s Halo First Class design study, which is a lounge-like suite. Also included was French seat maker Expliseat’s lightweight titanium seat. German finalist Diehl Aerospace has developed DACAPO, a power saving, self-sufficient cabin system using rechargeable and replaceable battery trolleys. Vision Systems has reached the final round with the Energia aircraft window in which a transparent photovoltaic film inserted into the pane simultaneously “harvests” solar energy and makes it possible to dim the window at the press of a button. Zodiac enters the fray with another product in the ISIS range: the Modular Lavatory, which facilitates resource-friendly customization and substitution of individual bathroom and lavatory modules. The hygienic toilet developed by Diehl Comfort System is operated using movement sensors, requiring no contact. The other finalists in the category are Recaro’s ergonomic, lightweight CL3710 economy seat with extra knee room. ZIM Flugsitz’s EC-00 economy seat for short and medium-haul flights, including a new table and backrest concept was included. Thales’ Immersive Business Class Seat was included. Hong Kong-based Paperclip Design’s Convertible Long Haul Seat Concept, which can be quickly converted from premium economy to a full-flat business seat. Zodiac Aerospac’s Premium Cabin, which not only creates more space for every passenger but also even allows room for an on-board bar. Zodiac Galleys impressed the judging panel with an airbag system for front-row passengers. 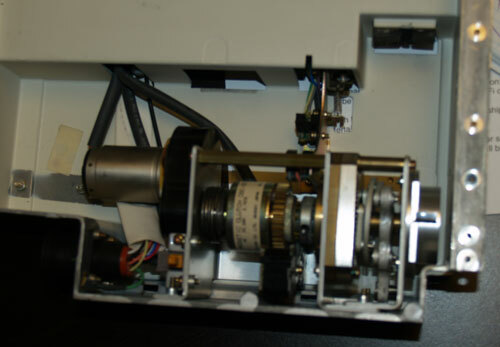 Specialist Aviation’s Satto solution for minor repairs to cabin components. Schott’s lightweight glass structure for windows, which is not only more resistant than conventional window plastic but also making significantly larger panes possible. Two entrants from Delft University of Technology in the Netherlands have reached the final, with Sense the Transitions, an innovative geotainment concept; and the ARC Seat Concept, an aircraft seat that can withstand stresses up to 16g. Monash University in Australia is showing a concept for wheelchair boarding. The finalists’ products and concepts will be presented in the Crystal Cabin Award Gallery at Aircraft Interiors Expo in Hamburg, Germany next month (Hall B1, Booth A41), and on the second day of the exhibition (9 April, 11am), the winners will present their concepts to the public. The IFExpress team has purposely avoided any updates of MH370 until we saw this article on Sunday that mentioned IFE – you have to read it… we were dumbstruck! Editors Note: To get a bit more background on this exploding technology, here is a blurb from the Radius Network website about their Apple-based solution: “iBeacons are transmit only. They do not receive or collect any signals from mobile devices. iBeacons don’t detect the presence of your mobile device and therefore have no ability to know you are near or track your location. The bottom line, iBeacons are inherently privacy friendly. You can see them, but they can’t see you. With iBeacon technology, your mobile device is actually what detects the iBeacons. More specifically, an app installed on the mobile device can ask to be notified when the device sees a specific iBeacon. This works very similar to how geofences work when a mobile device crosses into a specific geographic location. Keep in mind that in order for a mobile device to detect and react to an iBeacon, an app MUST reside on the device and have requested the specific iBeacon identifiers it is interested in. The benefit of this approach is that it gives the user ultimate control. If a user does not want to interact with iBeacons, he or she can opt-out by not allowing the app to use location services (iOS), turning Bluetooth off, or uninstalling the app on their phone.” Think GPS when using iBeacons, and we also note, that there are already some 100 apps for iBeacons in the Apple iTunes store today. Android developers are spooling up as well. The underlying technology is Bluetooth Low Energy (BLE) based and the rechargeable transmitter units are about the size of a mint tin that can run for days without a charge. 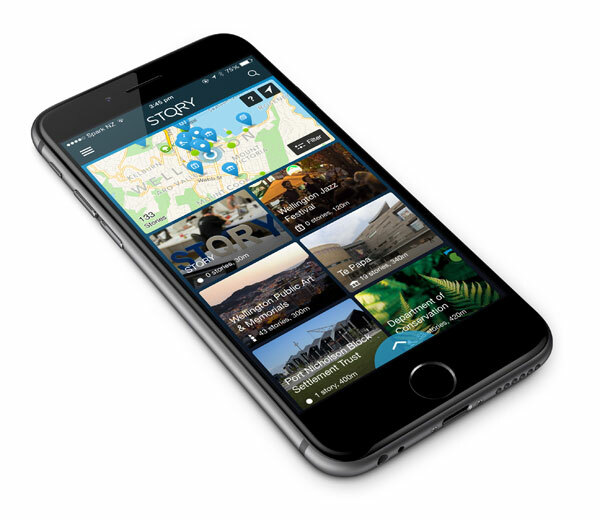 If you want to build your own iBeacon application, check out the Travel Radar App in the iTunes App Store, put an iBeacon in your bag, and find your luggage before someone else does! We just heard that Aircraft Cabin Systems recently was granted and registered a patent for their new retractable monitor that features a charged capacitor retract solution! Watch for Telefonix get more into Connectivity with the addition of Jim Costello to their staff! London, UK | February 11, 2014– Virgin Atlantic passengers will be the first air travelers to experience the benefits of pioneering Google Glass and Sony Smartwatch technology as they arrive at London Heathrow airport, in an innovative pilot scheme which starts today. Concierge staff in the airline’s Upper Class Wing will be using wearable technology to deliver the industry’s most high tech and personalized customer service yet. The cutting-edge technology is being introduced as Virgin Atlantic publishes the results of a major study of 10,000 airline passengers from across the world on the future of air travel (1). The results show that as the number of people travelling by plane has sky-rocketed in recent decades, the experience has lessened. Virgin Atlantic is joining with passengers and calling on the industry to introduce more innovations and radical fresh thinking to meet sky-high consumer expectations. Virgin Atlantic, in collaboration with air transport IT specialist SITA, is the first in the industry to test how the latest wearable technology, including Google Glass, can best be used to enhance customers’ travel experiences and improve efficiency. From the minute Upper Class passengers step out of their chauffeured limousine at Heathrow’s T3 and are greeted by name, Virgin Atlantic staff wearing the technology will start the check-in process. At the same time, staff will be able to update passengers on their latest flight information, weather and local events at their destination and translate any foreign language information. In future, the technology could also tell Virgin Atlantic staff their passengers’ dietary and refreshment preferences – anything that provides a better and more personalized service. During the six-week pilot, the benefits to consumers and the business will be evaluated ahead of a potential wider roll-out in the future. Virgin Atlantic’s new solution replaces an existing process for serving passengers traveling in the Upper Class Wing, the airline’s premium entrance at Heathrow dedicated to Upper Class passengers. Airline staff are equipped with either Google Glass or a Sony SmartWatch 2, which is integrated to both a purpose-built dispatch app built by SITA and the Virgin Atlantic passenger service system. The dispatch app manages all task allocation and concierge availability. It pushes individual passenger information directly to the assigned concierge’s smart glasses or watch just as the passenger arrives at the Upper Class Wing. 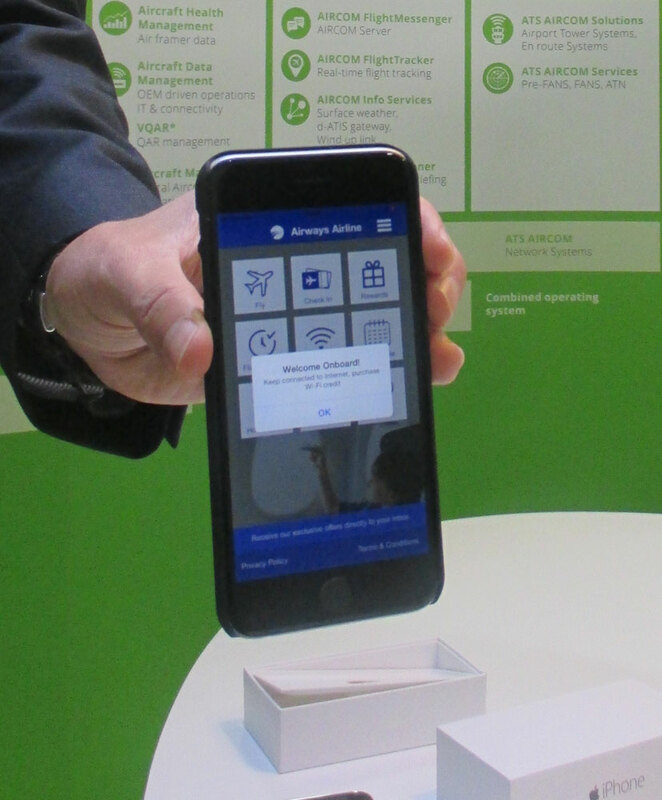 Virgin Atlantic continues to push the boundaries with other technological advancements with SITA, including testing iBeacon with its Upper Class passengers at Heathrow, a new low-powered Bluetooth transmitter that can notify nearby iOS Apple devices of nearby services, discounts and updates on their flight boarding schedules. In addition, Virgin Atlantic’s newly enhanced mobile site means passengers will be able to book flights, check in online and check their flight status on the move, while also having access to the vast range of information on the main website, including destination and airport guides as well as details of baggage allowances and much more. In 2013, SITA’s strategic technology research group, SITA Lab, began testing and comparing wearable technology devices and developing applications for airlines and airports. A paper outlining its findings for the industry is available here.